Don’t waste time trying to capture potato-quality photos or shaky videos shot vertically on your iPhone! 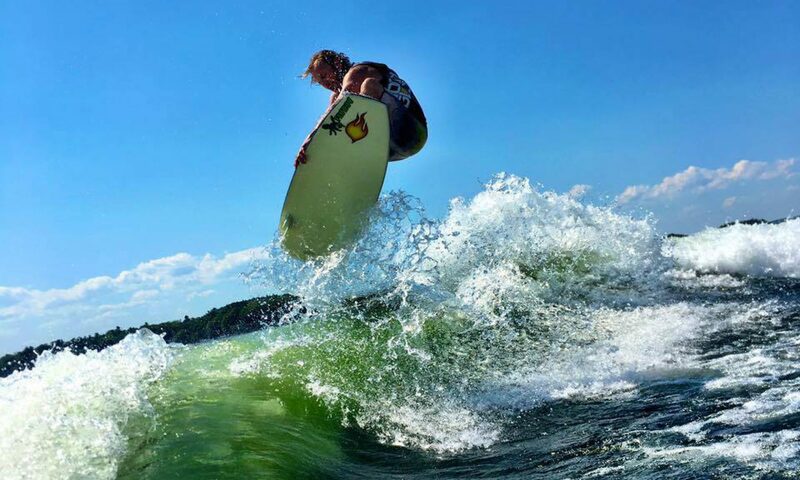 We offer HD photos and fully edited videos of your wakesurfing adventure shot with a GoPro 6! No need to be a professional videographer…it’s your time to enjoy surfing, so let us create the highlight reel. If the weather is right, we can even launch our drone behind the boat to capture some amazing aerial footage that will make you the envy of all the social medias!